Whether or not you believe in ghosts, Carol Goodman’s Gothic mystery – The Widow’s House – might challenge your peace of mind. The psychological suspense thriller is set in the Hudson Valley of New York with an unreliable narrator defying a host of chilling affronts. 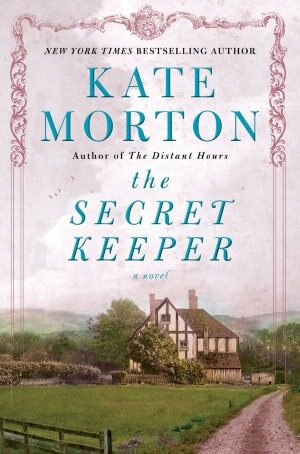 When Claire and Jess Martin decide to move from their Brooklyn apartment to upstate New York near the farm where Claire grew up, they find the only affordable accommodations are as caretakers to an old crumbling mansion named Riven House belonging to their former college professor, also a writer. Jess, having published his first book soon after graduating from college, has spent years looking for inspiration for his second, while Claire, an aspiring writer herself, abandoned her dreams to write to work as a copy editor to support them both. When the money from Jess’s advance finally runs out, the Martins—now in their mid-thirties—are forced to move back upstate. The house is clearly the Gothic replica of Thornfield Hall from Jane Eyre but soon takes on the characteristics of the Hitchcock setting in Gaslight or Shirley Jackson’s Hill House; its history includes a series of tragedies and is thought haunted by the locals. As Claire researches the house’s former occupants for her own novel, she is soon terrorized by their ghosts. Goodman cleverly inserts doubt about Claire’s mental health, perhaps confirming the reader’s unwillingness to believe in the paranormal phenomenon appearing in the mist. Claire’s sanity is placed in question by revealing her nervous breakdown earlier, and her tendency to edit her own life, remaking it to something better and overlooking her traumas and losses of the past. As people begin to die at Riven House, Clare’s grip on reality becomes suspect, and the reader has to decide who to believe. Like her other Gothic mystery romances, Goodman’s The Widow’s House combines supernatural possibilities with the reality of human cruelty and misery. In the end, you aren’t quite sure what the truth is, although Goodman provides a sane possibility. The captivating tale will haunt you and you will love every moment. I am a fan of Goodman, having read all her novels from The Lake of Dead Languages to River Road. As a bonus, Goodman offered a list of books that have inspired her in her notes at the end of the book. You might look for one when you are in the mood for another chilling mystery. Carol Goodman’s mysteries cannot come fast enough for me, and her latest – River Road – has all the plot twists and Gothic flavor of her earlier books – The Seduction of Water and The Lake of Dead Languages. Goodman once again mixes grief and revenge with office politics and murder. Her mystery thriller brought back memories of the politics and secrets of academia, most notably the English department. Nan Lewis, an English professor up for tenure at a state college in upstate New York, hits a deer on her way home from the department Christmas party. The next day, Nan learns from the police that her favorite student, Leia Dawson, has been killed the night before on that same road. The site is the same bend in the road where, years earlier, Nan’s 4-year-old daughter, Emmy, had been killed by a hit-and-run driver. Nan becomes the main suspect in the death of her student, but the investigation quickly spreads to include students and other professors in a tale full of unreliable narrators and red herrings. As mysterious clues appear linking her daughter’s and her student’s death, a handsome police chief comes to Nan’s rescue more than once – adding an inevitable romantic storyline to the fast-paced killer pursuit. The unforgiving cold weather adds to the drama, as well as Nan’s guilt over her daughter’s death. A quick and satisfying read, River Road joins Goodman’s prolific output of books with murder, ghosts, and secrets. If the fairies stole a baby, they left a changeling behind, and, often the secret was never discovered. 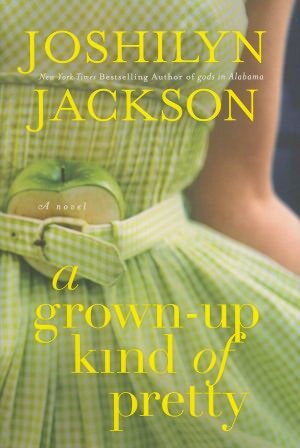 In Joshilyn Jackson’s new Southern mystery – a grown-up kind of pretty – the removal of an old willow tree in Mississippi uncovers baby bones wrapped in a familiar blanket, and triggers an investigation and a family crisis. Fifteen years old is a danger year for the three women in the story. Ginny (known as Big) becomes an unwed mother at 15; her daughter, Liza, does the same when she reaches that age. Now, Mosey, Liza’s daughter, understands that the discovery of the makeshift grave in her Grandmother’s backyard means that she may not follow the same route – because she is not her mother’s daughter. If you enjoy Jackson’s brand of what she calls “redemption infested stories,” a grown-up kind of pretty offers a quick read with all the strings neatly tied in the end.